Not quite sure I should admit having seen this, but I have. It's averaging 5.8 out of 10 on IMDB, and that sounds about right. It's a lot to tolerate, but I like most of the actors in it, so what the heck. It was fun, in a low-bar/lowbrow sorta way. 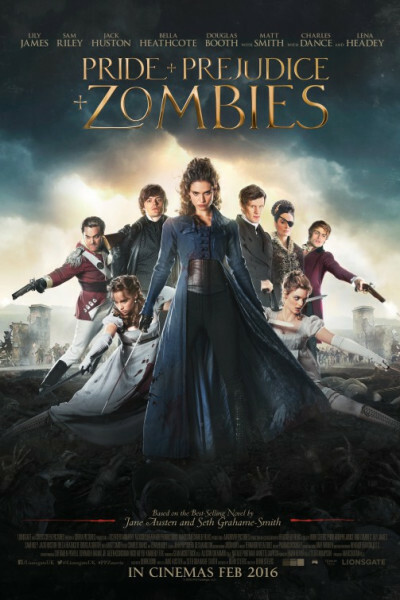 If you like your period dramas and B movies and Saturday morning chop suey and zombie flicks all in one blender, well then, I guess it's your lucky day! Don't blame me if you hate it; it's an acquired taste, pun intended, and I sorta warned you.